In this weeks blog i wanted to explore what is and what really should be considered an Anime. Anime has long been the term used to define all forms of animated productions that are produced in Japan. Anime productions have a very particular art style when it comes to their character design and the way they present themselves. The concept of “Anime eyes”, which I will be discussing in my blog next week, is a distinct characteristic that is commonly found in Anime productions. 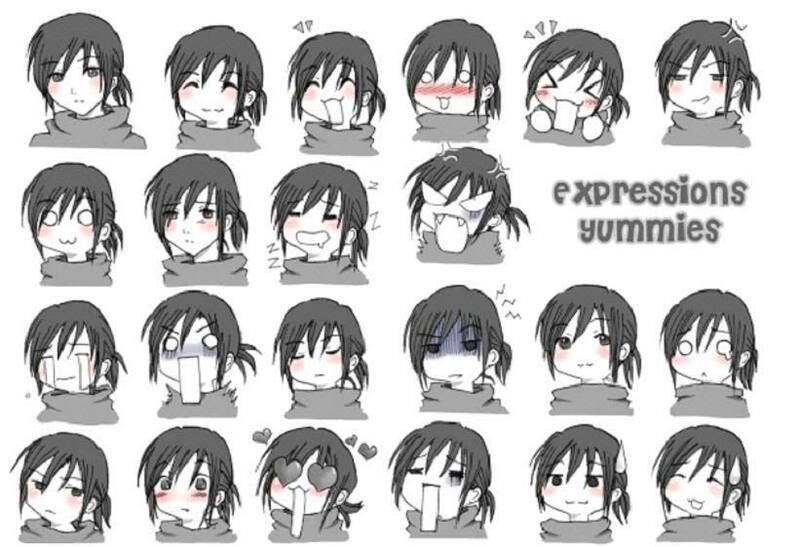 Expressions are another concept that is commonly found in these animations, which are used to show character emotions more explicitly, and some examples of these “expressions” can be seen in the image below. It seems to me that in todays society, the very definition of the term ‘Anime’ is outdated. I would argue that anime is not simply a representation of animations coming out of Japan, and that it is more an inherent art style. In a globalised society, it would be ignorant to classify and define these productions simply based on the location of it’s producers, especially if the style of art is identical to that of Japanese productions. Allow me to use an example. RWBY (pronounced Ruby) is an animated cartoon series created by RoosterTeeth, an American studio that produces web content. The series, which is completely free to watch on the RoosterTeeth YouTube channel, emulates many aspects of the traditional Anime art style. An article written for CrunchyRoll, the premier website for watching free (and legal) Anime online, unpacks the contextual question of “what is anime and what isn’t”, and really puts into perspective the idea of an outdated definition of Anime. Have your say, do you agree that the definition is outdated? Let me know in the comments below! This pertains quite closely to my field of study as well about what the J in JRPG is. I, much like you, have found that it has very little to do with where the content was produced, but rather what people conceive about where it was produced. Just as you have found Anime produced in America I have found JRPGs produced in Korea and the US as well. The most fascinating thing for me is the depth to which all of the perceptions go. So much so that it influences the genres we put things in. I know that if I looked up KRPG I would find very little, unless I got specific with my searching and I think you’d find the same. If you have some time I would look at Monty Oum’s previous works before he was employed by Rooster Teeth as he took many Japanese works and used them to create very ‘Western’ pieces, in relation to art style. Not to say that he took away their original values, just that he made something different, from a western location. It would be really interesting to look at what influenced Osamu Tezuka, an early Manga and Anime Author often attributed as the godfather of Manga. Much of his artwork and style really built that ‘Anime’ style that people expect to see from Japanese cartoons. Supposedly he was hugely influenced by Walt Disney growing up, so that might be an interesting connection to explore.